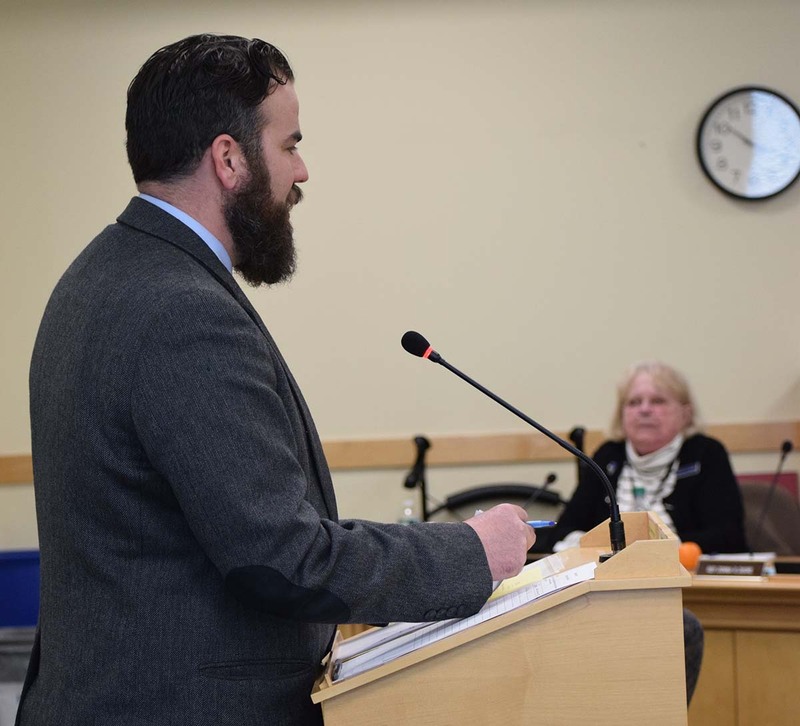 MSEA-SEIU members and staff testified April 1 in support of LD 1184, An Act Regarding Penalties for Early Retirement for Certain Members of the Maine Public Employees Retirement System, sponsored by State Rep. Donna Doore. LD 1184 addresses an unintended consequence of the enormous pension and healthcare cuts the 125th Maine Legislature imposed on state employees and others effective July 1, 2011 – an unintended consequence compounded by other pension cuts that took effect back in 1993. LD 1184 provides a solution for those workers who felt they were forced to choose, back in 2011, between getting retiree health insurance or taking a 6 percent annual hit to their pensions. LD 1184 addresses this problem by changing the rate of the penalty for those state employees and teachers who retired between July 1, 2011, and January 1, 2012, and who had at least 25 years of service as of July 1, 2011, but had not yet attained 62 years of age. For those particular individuals, LD 1184 calculates their penalty at 2.25 percent for each year the person was below 62 years of age upon retirement from service. We think that’s the right thing to do for these public employees. “I retired because of several factors. 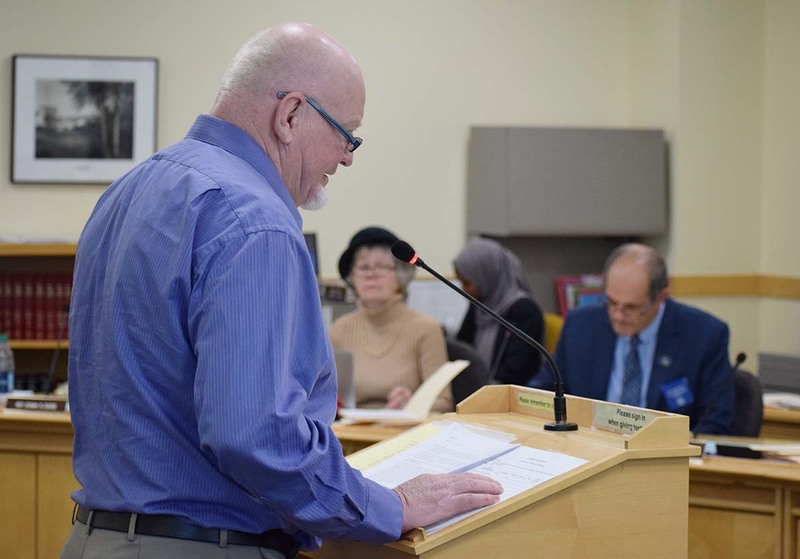 My health at the time, the death of my son a few years earlier, stress on the job and because I no longer felt or trusted my job or benefits were secure under the administration at the time,” MSEA-SEIU Retiree Member Steven Keaten told the Legislature’s Labor and Housing Committee. “Every two years a bill would be introduced that would eliminate my job and in 2011 it came close to happening but by one vote in the Legislature. The question I faced was retire with a huge penalty and have the promised health insurance or risk staying only to lose my job before I turned 62 still having a large penalty but without health insurance. It was a decision I did not want to make. Or no one should have to make.” Read Steven Keaten’s testimony here. “Let’s start with the 2011 (pension and healthcare) cuts: At the time, legislators decided that state contributions toward retiree health insurance would begin at the normal retirement age (60 or 62) for workers vested in the retirement system as of June 30, 2011. As part of this transition, workers who had at least 25 years of service as of July 1, 2011, but who had not yet reached their normal retirement age, were required to retire by Dec. 31, 2011, in order to have fully paid health insurance immediately upon retiring. Otherwise, their eligibility for fully paid retiree health insurance wouldn’t kick in until they reached normal retirement age. “As a result, some state workers who had at least 25 years of service but were not yet at normal retirement age determined they had no choice but to retire by Dec. 31, 2011, in order to gain access to retiree health insurance. This meant they had to take a penalty of 6 percent per year for each year they retired prior to normal retirement age. A worker who was five years short of normal retirement age, for example, took a 30-percent hit to his or her pension in order to access retiree health insurance – even though he or she already had attained at least 25 years of service. “Now let’s consider the pension that the Legislature made back in 1993: The 6 percent annual retirement penalty is traced to changes the Legislature made to the retirement system back in 1993. Under those changes, participants in the retirement system as of July 1, 1993, who did not have 10 years of creditable service, were required to have at least 25 years of service and attain age 62 in order to avoid the 6 percent annual penalty. Prior to that change, the penalty was 2.25 percent for each year below 60 years of age the person retired. “LD 1184 provides a solution for those workers who felt they were forced to choose, back in 2011, between getting retiree health insurance or taking a 6 percent annual hit to their pensions. The solution in LD 1184 is to change the rate of the penalty for those state employees and teachers who retired between July 1, 2011, and January 1, 2012, and who had at least 25 years of service as of July 1, 2011, but had not yet attained 62 years of age. For those particular individuals, LD 1184 would calculate their penalty at 2.25 percent for each year the person was below 62 years of age upon retirement from service. We think that’s the right thing to do for these public employees.” Read Jeff’s testimony here.